Set between Star Wars Episode 1 and 2, Obi-Wan and his padawan Anakin are called to assist on a planet that’s meant to have no inhabitants. Charles Soule’s writing and Marco Checchetto’s art come together well. 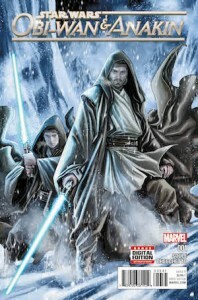 There’s also some nice back story featuring Palpatine / Mace Windu – this five-issue series is looking good. Have you checked out Comicdom’s newest forums? Go to Panel Junkies – non-profit independent web forum for comic collectors and creators.